The first time that a new parent looks down upon their newborn babe, there is an instant connection. The genetic power of cute ensures that you’re ready to do anything to protect the little bugger. It is a strange work of biology that we’re so attracted to cute little things… otherwise who knows how they’d stay alive! In any event, now that you’ve got the cutest little tyke in the world, you’ll no doubt run into a few others that would like to argue that their weird little creature is cuter.Ridiculous! 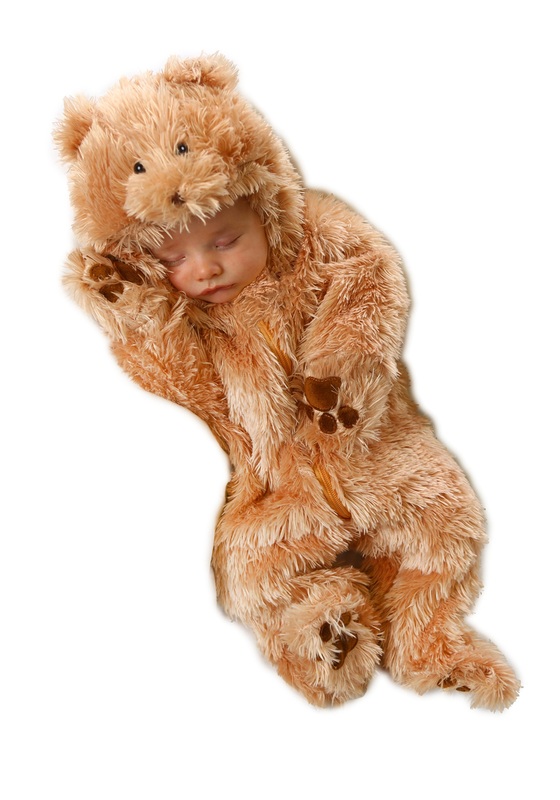 What we do advise is the acquisition of the Cuddly Bear Infant costume. Any mama bear knows that their own cub is the most cuddly creature in the known universe, and the only thing that makes a little cute babe even cuter is making them fuzzy, too! This polyester and faux-fur jumpsuit zips up the center and down the left inseam to the heal for easy diaper access. The satin-lined hood has embroidered bear features for extra cuteness while the fabric itself will work to keep your tyke warm even in the cooler months. No other babe has a chance to win #1 Cute Babe with this… unless they’ve picked up the Lion or Tiger cub costumes. At that point you have to figure out which is more adorable: Lions or Tigers or Bears. Oh, my!